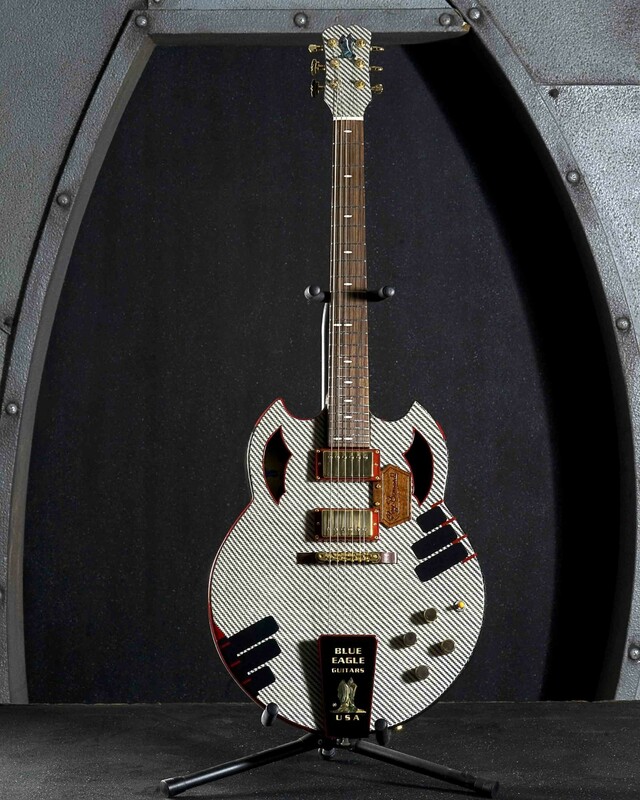 These hollow body guitars are 60 and 80 thousandths thick. 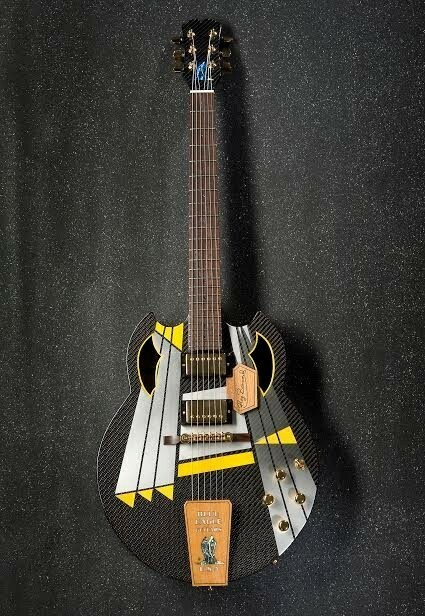 100% Carbon Fiber/Hollow body Guitars. Custom Design. Custom Detail. ​Each guitar has a unique and sought-after design delivering a magnificent sound with a fat, rich sustain. Only the finest hardware and electronics are utilized in every instrument. ​​Each guitar is designed with a solid neck and head stock with carbon fiber braces. The necks are all in one piece and are extremely strong, eliminating the truss rod and are not affected by weather changes. However, truss rods can also be added in with the carbon fiber braces if so desired, But this is not necessary. This is only an option included in your order. Blue Eagle Guitars USA then bonds and bolts the one piece neck and head stock to the wooden braced two piece hollow body. The sound is amazing with or without amplification and has a quick, comfortable and responsive action.